Practical trolley or serving trolley for more storage space in your kitchen. With its broad palette of accessories, the trolley Helsinki is ideal for any kitchen. 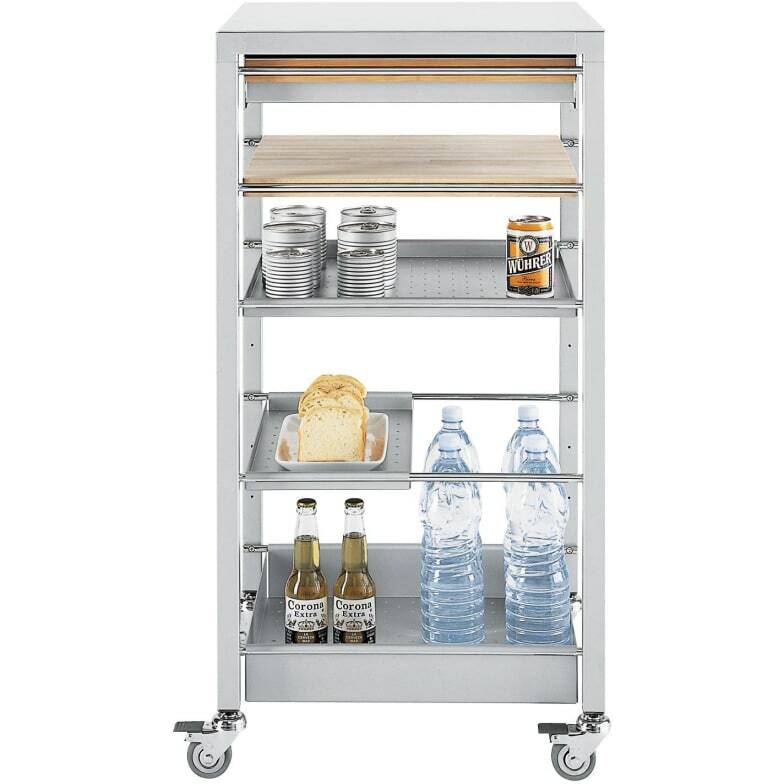 Trolley system with steel frame in gray artico. Surfaces in steel plate or glass: clear, etched or extra clear etched, black lacquered or white laminate. Over time the fertile relationship between designer and producer has sustained a virtuous circle that gave rise to an offer of design products that are elegant and of the highest quality standards. Many Desalto products have become internationally recognised bestsellers, such as the Helsinki and Liko families of tables, the Sand and Trace chairs and the Kloe armchair. Do you have a question about "Helsinki"? How can we contact you?